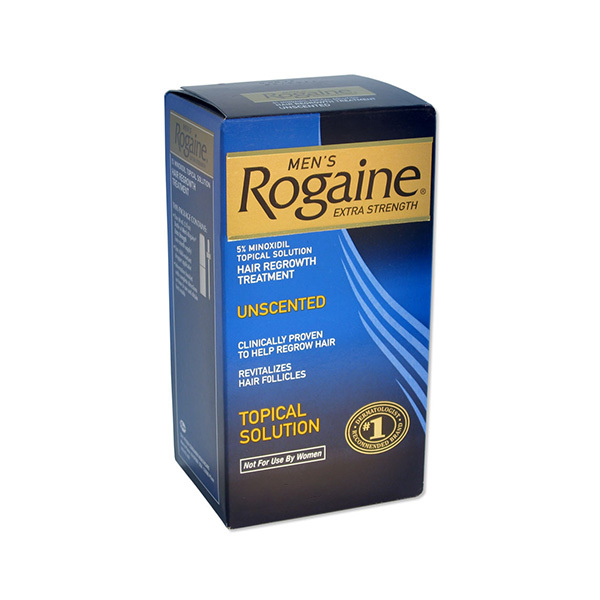 Rogaine 2% is used for treating male pattern baldness. It stimulates hair growth in people who are experiencing gradual hair thinning from the mid scalp. While the exact action remains unknown, it is believed that Rogaine dilates blood vessels in the scalp thereby improving hair follicle function. Wash your scalp and dry it correctly. Now apply the rogaine solution evenly. Wash your hands both before and after using the solution. Once you apply the solution, do not wash it for as long as 4 hours. Avoid going swimming or getting the hair wet. The solution must remain on your hair for at least 4 hours. You must avoid using Rogaine 2% if it you are allergic to any ingredient in it. You may notice hair loss for up to 2 weeks after using Rogaine 2 %. Do not stop treatment. Rogaine 2% must not be used in children as it is unsure whether Rogaine 2% is safe in children below years of age. If you get it in the eye or mouth then flush it immediately. You must not use it on the scalp if you have a wound, injury or bruising. Rogaine will not improve hair loss caused by grooming methods (eg, ponytails, braiding) or the use of other hair care products that cause scarring or deep burns on the scalp. •	Burning or irritation of the eye; itching; redness or irritation at the treated area; unwanted hair growth elsewhere on the body. •	Severe allergic reactions (rash; hives; difficulty breathing; tightness in the chest; swelling of the mouth, face, lips, or tongue); chest pain; dizziness; fainting; fast heartbeat; sudden, unexplained weight gain; swollen hands or feet.